The PARC Group, Nocatee's Master Developer, is grateful to report that the community of Nocatee sustained minimal damage through recent Hurricane Irma. 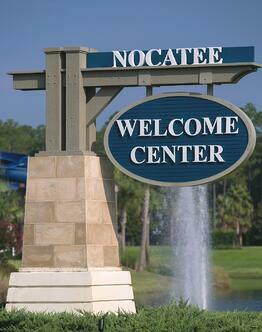 The Nocatee Welcome Center is open and will soon resume normal business hours, as well as most builders in model homes throughout the community. Nocatee's Community Development District (CDD) amenities received very little damage and will all reopen as soon as electric service is fully restored. In the vision and design of Nocatee, a top priority was to build an infrastructure that provided protection to the residents from potential disasters such as a storm surge from a hurricane. 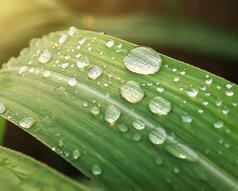 Nocatee's extensive system of preserves, drainage and pumps have proven to be remarkable and work as planned. Nocatee's deep sense of community was especially apparent during the preparation and aftermath of Hurricane Irma. Not only did residents help fellow commnity members prepare for the storm, but they also helped clear roadways and pick up storm debris around beloved neighborhood parks and amenities. 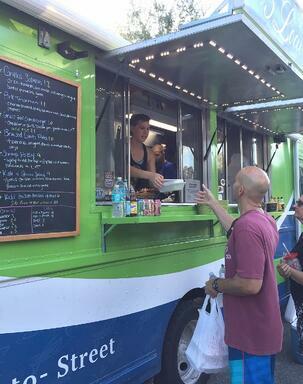 While clean-up and electric service restoration continues, some of Jacksonville's most popular food trucks have made several trips out to Splash Waterpark to serve residents. Busy families with students home from school have been especially delighted to have the convenient lunch and dinner options available to them. Seeing the Nocatee community stand strong and support each other, is yet another reminder of why nearly 6,000 families have chosen to call the master-planned community home. To learn more about new homes at Nocatee, explore the Nocatee website, stop by the Nocatee Welcome Center or call 904-924-6863.